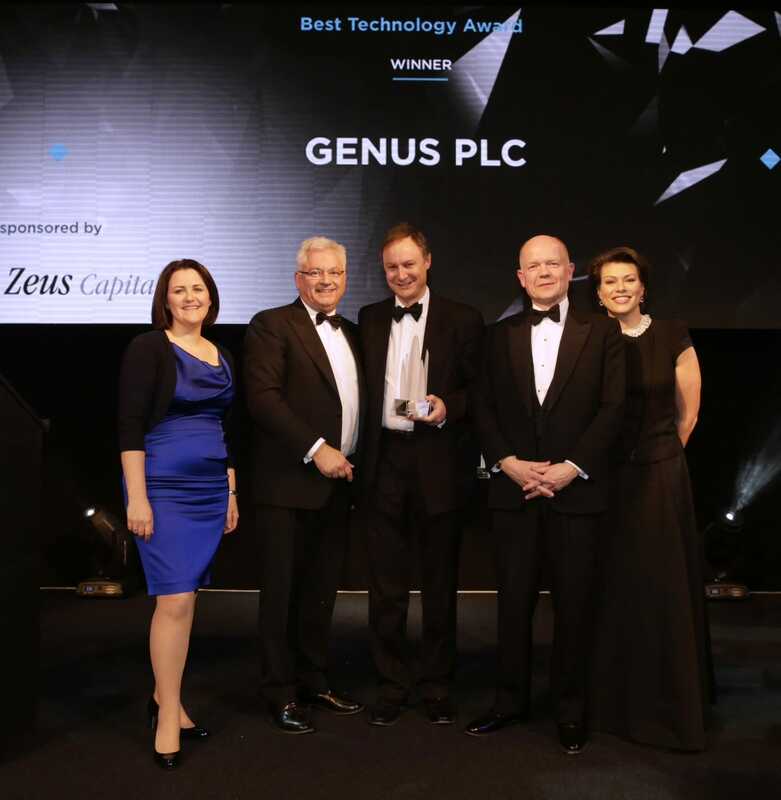 PIC's parent company, Genus plc, has been named 'Best Technology' company at the prestigious PLC awards, which were held in London, UK, on evening March 3rd. The PLC awards have been running for 30 years to recognise success and achievement amongst publicly quoted companies in the UK. Genus was nominated for two awards, Best Technology and Best Investor Communication. Winning the Best Technology award means that, of all such companies registered in the UK, Genus was judged to be demonstrating the most effective use of technology and innovation to drive business growth. To be recognised in this way is an important achievement. It is an endorsement of innovation that is core to our company. This award is acknowledgment and recognition for everyone involved in the work for pursuing the vision of pioneering animal genetic improvement to help nourish the world – as well in the porcine (PIC) as the bovine business (ABS) of Genus. Picture shows, left to right: Stephanie Hyde, Board Member for UK Regions, PwC; Sir Nigel Knowles, Chairman, Zeus Capital; Stephen Wilson, Group Finance Director, Genus plc (winner); The Rt. Hon. Lord Hague of Richmond; and Kate Silverton (awards presenter).